Lived here in 1894 while studying at the Royal School of Music. Erected by German-Irish Association Würzburg, Deutsch-Irische Gesellschaft Würzburg e.V. Location. 49° 47.998′ N, 9° 56.219′ E. Marker is in Würzburg, Bavaria. Marker is on Haugering just east of Bahnhofstrasse, on the right when traveling east. Touch for map. Marker is at or near this postal address: Haugering 5, Würzburg, Bavaria 97070, Germany. Touch for directions. Other nearby markers. At least 8 other markers are within walking distance of this marker. Matthias von Lexer (within shouting distance of this marker); Ehem. Hauger Stiftshof / Former Haug Canon House (about 150 meters away, measured in a direct line); Philipp Franz Von Siebold (about 150 meters away); Theodor Drey (approx. 0.3 kilometers away); Hannsheinz Bauer, 1909 - 2005 (approx. 0.3 kilometers away); Hermann Müller-Thurgau (approx. 0.3 kilometers away); Wilhelm Röntgen (approx. 0.4 kilometers away); Albert von Koelliker (approx. 0.4 kilometers away). Touch for a list and map of all markers in Würzburg. 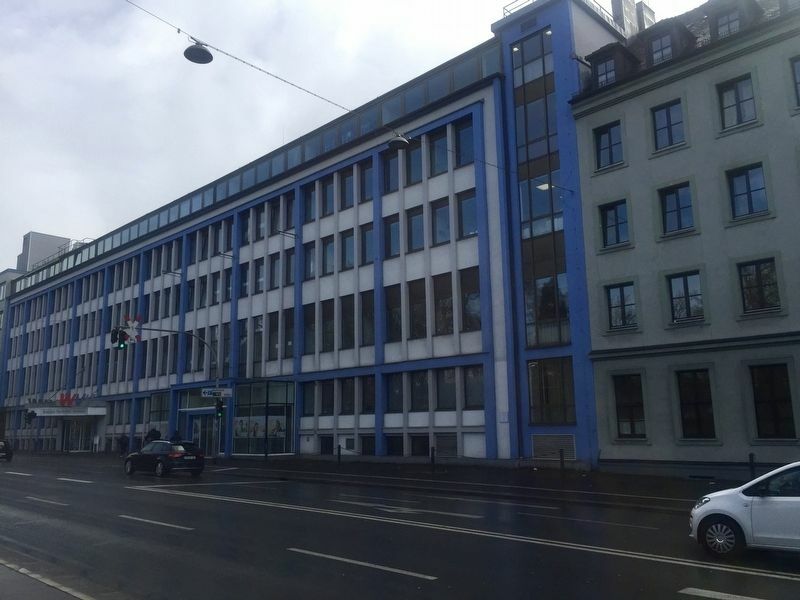 The marker is visible here on the western end of the WVV Building, between the last set of vertical blue stripes. More. 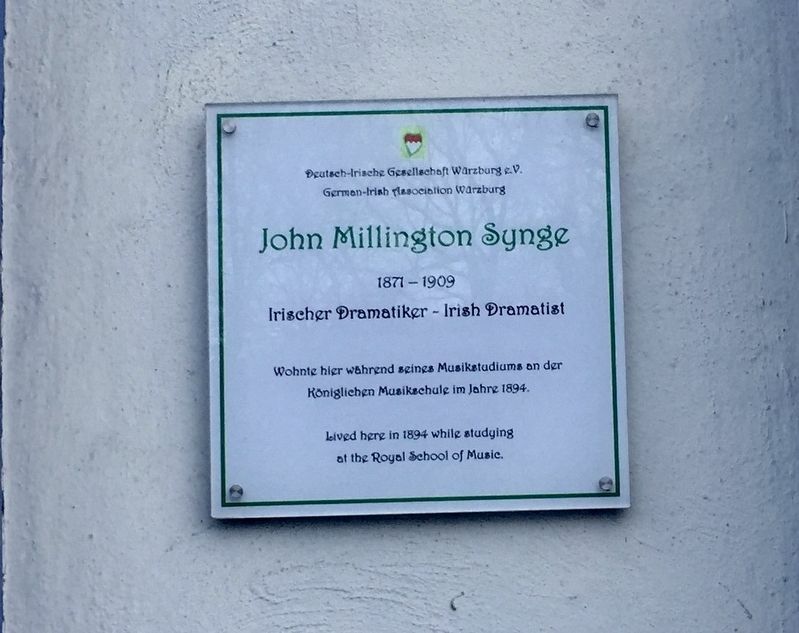 Search the internet for John Millington Synge, 1871-1909. Credits. This page was last revised on March 18, 2019. This page originally submitted on March 16, 2019, by Andrew Ruppenstein of Sacramento, California. This page has been viewed 51 times since then. Photos: 1, 2. submitted on March 18, 2019, by Andrew Ruppenstein of Sacramento, California.